What follows is a prayer from the Puritans taken from the book Valley of Vision, a book of Puritan prayers I picked up at a conference I recently attended. The first prayer in the book is named after the title. 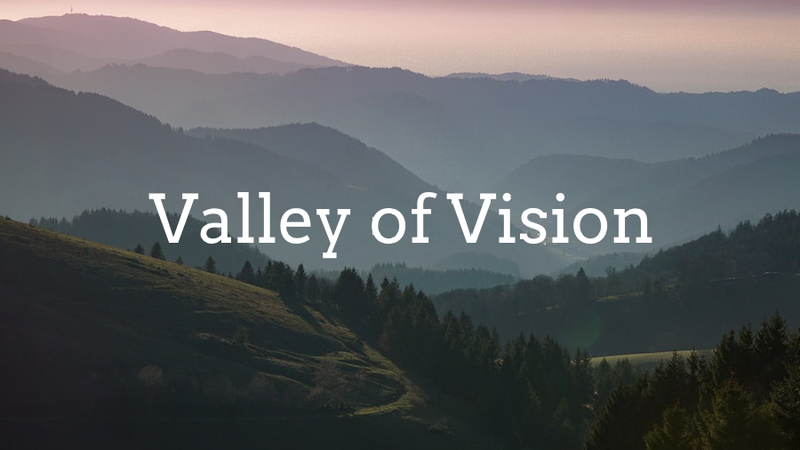 Another Valley of Vision prayer is coming soon.